Capital Innovation and Sam Hamad, Minister of Economic Development, Innovation and Export Trade and Minister responsible for the Quebec City region, are proud to acknowledge Quebec’s role as a heavyweight in the North American venture capital sector. World-class investors and fund managers representing more than $10 billion are gathering at the Montreal International Venture Forum to meet with some of Quebec’s most promising entrepreneurs. 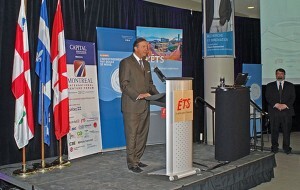 The event is taking place at the École de technologie supérieure (ÉTS) until Friday, March 30. “The Quebec government is pleased this Forum is being held in Montreal, since it is very important for our entrepreneurs. It demonstrates the remarkable progress made by venture capital in Quebec, which will enable young entrepreneurs to create jobs that will benefit our entire society,” said Mr. Hamad. 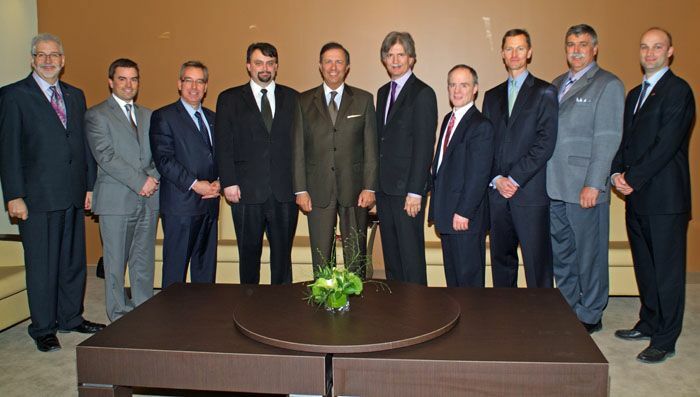 The Montreal International Venture Forum 2012 is an unqualified success. World venture capital leaders are gathering at the ÉTS to explore co-investment opportunities and build ties with Quebec entrepreneurs. Many leading venture cap players are taking part in the Forum, including Black Coral Capital, HarbourVest Partners, Mitsubishi Tanabe, Sofinnova Partners, Sanderling Ventures, Teralys Capital and iNovia Capital. According to Martin Duchaîne, president of Capital Innovation, this shows that Montreal has become an attractive centre for foreign investors—especially those from the United States. “With the economic slowdown, many American investors are turning toward Montreal. With the creation of innovative companies slowing down in the United States, investors are interested in the quality of our entrepreneurs and our technical graduates. This situation has improved considerably since the first Capital Innovation event five years ago, where we were aiming to boost investments in innovative start-up companies,” said Mr. Duchaîne. 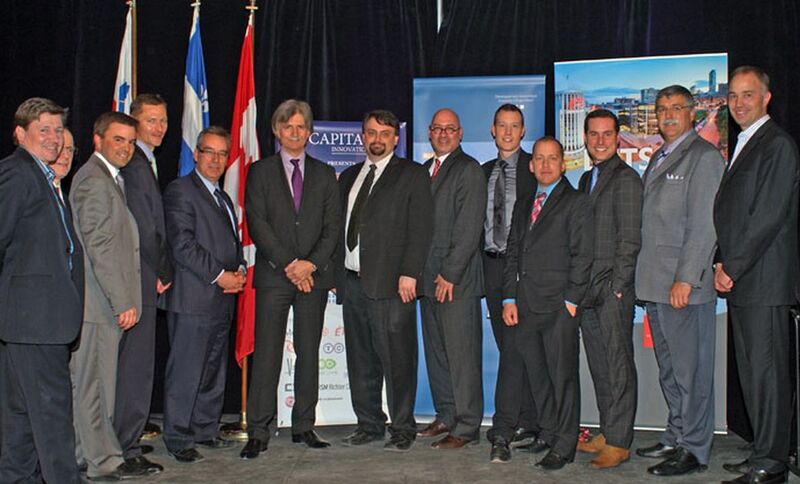 The Montreal International Venture Forumis one of three investor events organized by Capital Innovation. After the Toronto Forum, which took place February 28 of this year, and the Montreal event, ending March 30, investors can look forward to the Boston Forum, on June 21 and 22, 2012. “The links between these three cities enable us to create a golden triangle for investors,” concluded Mr. Duchaîne. Capital Innovation, the organizer of the Venture Forums in Montreal, Toronto and Boston, has grown over the past four years to become the largest technological investment program in Quebec and one of the largest networks of investors dedicated to emerging companies in North America. These forums help create a channel for joint investment in Eastern Canada, the United States (New England) and Europe with a network of investors who meet on a regular basis. 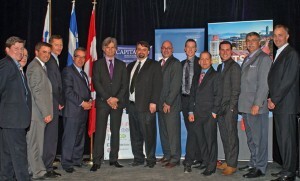 The Montreal International Venture Forum is organized by Capital Innovation in collaboration with the Ministère du Développement économique, de l’Innovation et de l’Exportation du Québec (MDEIE), Teralys Capital, the Ville de Montréal, École de technologie supérieure (ÉTS), Fasken Martineau, Business Development Bank of Canada (BDC), Centech (ÉTS incubator), Inerjys, Valeo, Miller Thompson, RSM Richter Chamberland, the Center of Excellence in Energy Efficiency (C3E), Burns & Levinson, NAO-Ontario and ICE.